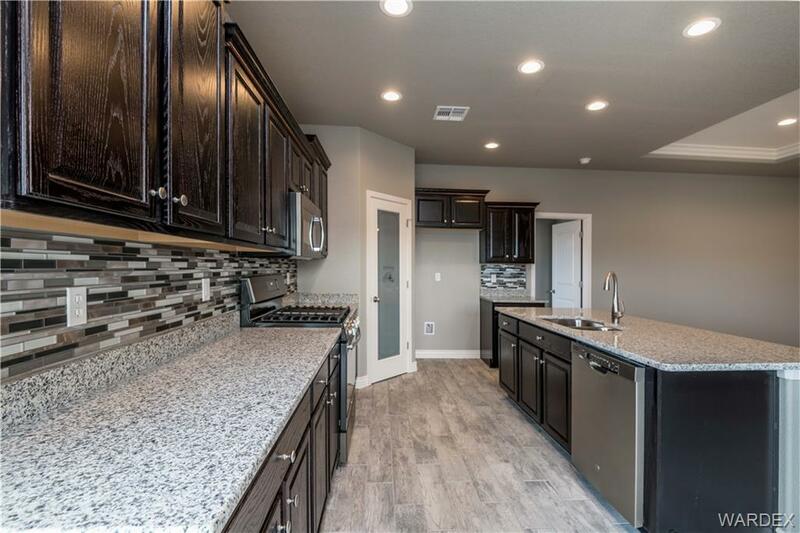 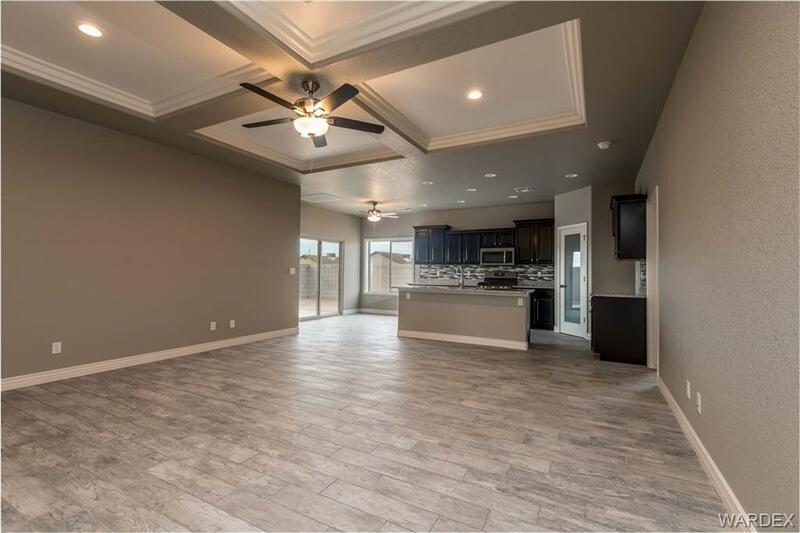 Beautifully built brand new home situated in Kingman Crossing! 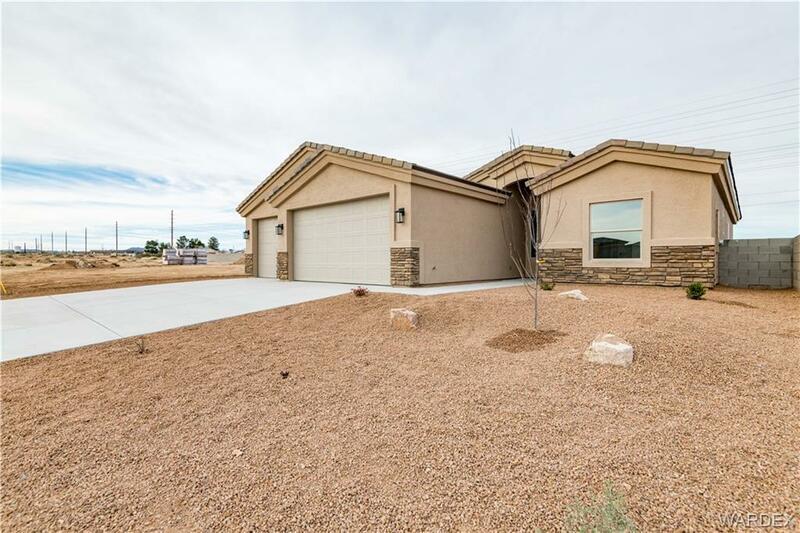 This property features incredible views of the Hualapai Mountains! 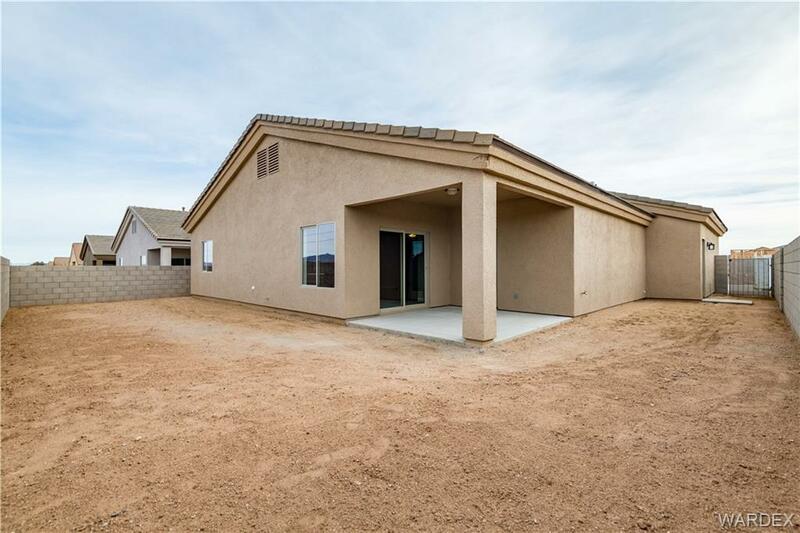 Other important features for this home includes: *1,778 sq ft *Stone accent fronts *Front landscaping *Covered patio *5" Baseboards *Quartz counters *Open floor plan *Tile floors *36" interior doors *Crown molding *Glass backsplash *Kitchen pantry *Indoor laundry *Soft water loop *Custom master bathroom with dual sinks, dual vanities and walk-in shower *Tile showers *Walk-in closets *8' garage doors *3 car finished/insulated pull through garage *Block wall fencing *14 Seer A/C.